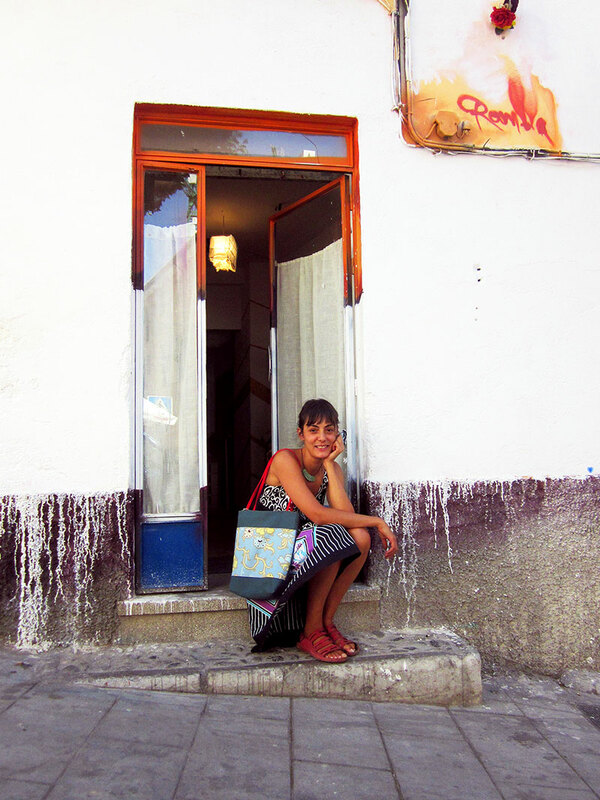 Today I’m excited to share an interview with a fellow creative in Granada: Laura Picinelli – the brains and hands behind Filobianco Handmade Bags & Accessories. 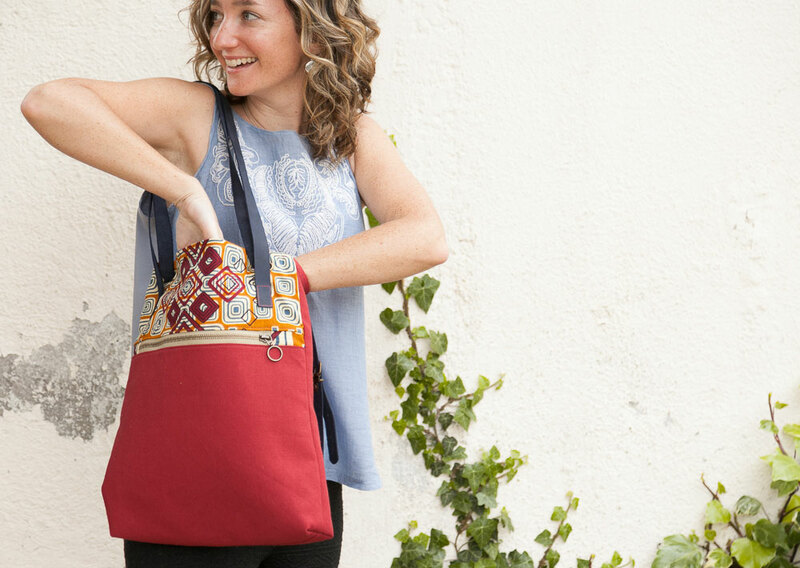 A woman of many talents, Laura is also an accomplished photographer and a couple of weeks ago I had a fun few hours modelling her beautiful handmade bags around the Realejo neighbourhood here in Granada. After the shoot we enjoyed a drink and a tapa (of course) and I asked Laura a few questions about how she came to Granada and founded Filobianco. Laura on the step of her workshop in the Realejo. What are three of your favourite things in life? Getting away somewhere by myself, spending the day at home cooking and having my camera on me at the perfect moment. Tell me a little bit about how you came to Granada and made it your home. I came to Granada ten years ago because I wanted to live in Spain for a while, not long. 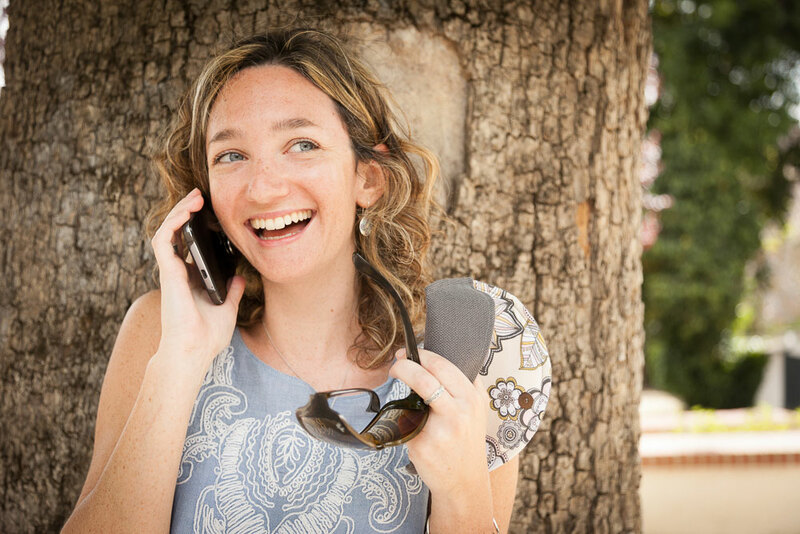 People told me “Granada captivates, people fall in love with Granada”, and that’s exactly what happened to me! So I decided to stay to continue discovering Granada’s magic and falling in love with the city. I felt at home right from the beginning amongst its enchanting streets and mix of cultures. One thing led to another and here I am still. I can’t believe it’s been so long! Me jumping for joy with a Filobianco Venezia – a zipper clutch with a handy strap to keep it firmly under control even when jumping! When I first met you I knew you were a photographer but I didn’t realise you also had amazing sewing talents! Have you always enjoyed sewing? [Laughs] That’s a bit of an overstatement! When I was little I experimented with my mum’s sewing machine making simple, non-ambitious things which I gave to my friends. I’ve always enjoyed creating and making handmade things. When you create something with your own hands you always get great satisfaction from the outcome. However pretty or ugly it may be, you made it yourself and there’s nothing like it in the whole world! Catching a ride with the Filobianco Liguria – an ingenious 2 in 1 back-pack that turns into a shoulder tote. Perfect for impromptu piggy backs! Did I get a new shoulder bag? Nope, it’s the clever Liguria again! How did your passion for sewing evolve into Filobianco? A few years after arriving in Granada I decided to buy myself a sewing machine. It had been ages since I’d experimented with fabric and I was really keen to start making things again. I remember the first thing I made, I was totally clueless about pattern designing, it was a skirt. [Laughs] The end result was quite cute, but I’ve never worn it! [Laughs] I decided to start making purses, glasses cases, bags…just to have a go and, as they turned out pretty well, I gave them to my friends. 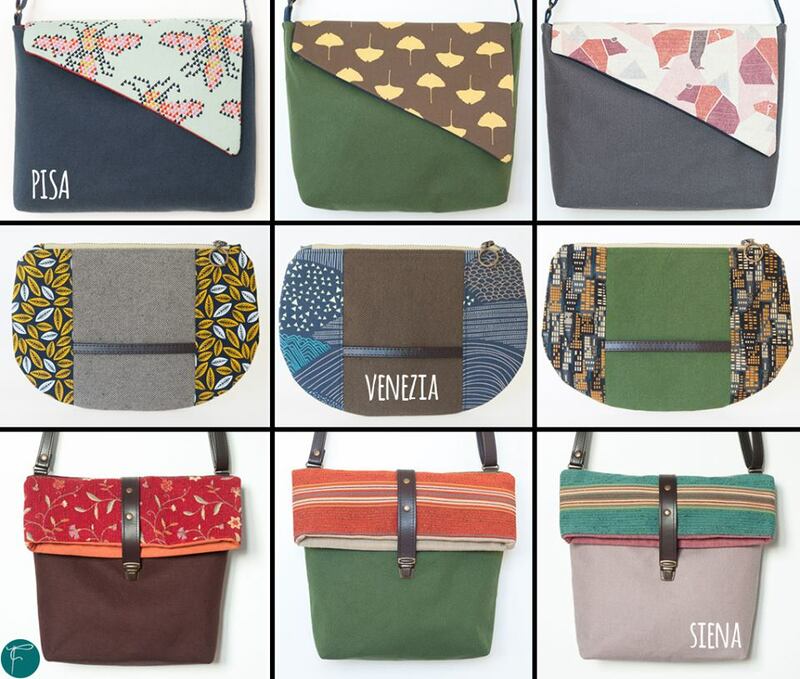 I love fabric – the colours and the patterns – so I started to buy different ones and I said to myself “One day I’ll do something with these”, and that’s how I started to make the bags. I’d make mistakes, unpick everything, mess up again, watch tutorials, until I managed to make something decent. At first I gave them away – as you do, right? Then I thought that I could start to sell them and that’s how Filobianco was born! You have several different models of bags. Where do you get inspiration for the designs from? Some designs I think up myself, because I just like a certain shape and I want to make that idea reality. I also really enjoy observing and paying attention to the little details in the images that I see on a day-to-day basis and taking special care with my choice of patterns and colours. Some examples of the Pisa, Venezia and Siena models. 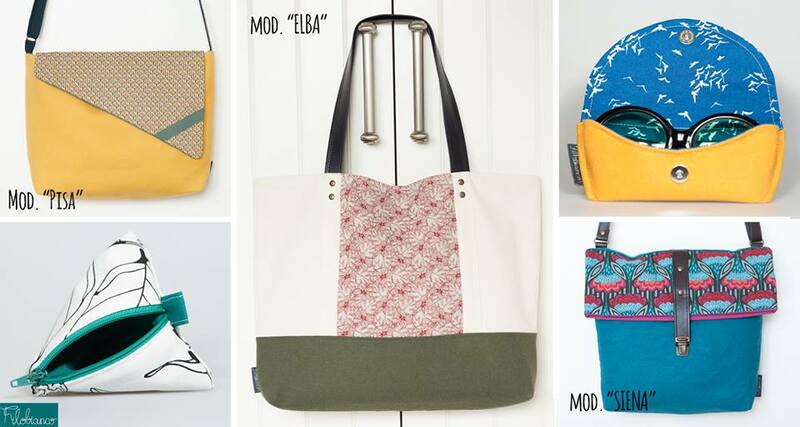 All Filobianco’s bags are 100% handmade and each one is unique. I’ve noticed that you give each model an Italian name. I think that’s such a lovely touch! How do you decide on the names? Are they named after people you know? The decision to give each model a name was a difficult one because I didn’t have a very clear idea about how to do it… At one point I wanted to name them after members of my family or important people in my life, then when I finished the first bag, which I knew I was going to reproduce several times, my boyfriend said “Siena?” and I thought the idea of using Italian city names was lovely. However, as I still hadn’t let go of the idea of using my family’s names, I called the summer tote bag “Martina” in honour of my new niece! I might carry on with the idea of city names as I did with the “Elba”, which is named after an Italian island… I’m not sure yet really. When choosing a city, whether I’ve been there or not, I’ll always choose one which takes me back to a certain memory or awakens my curiosity, as well as sounding good for a bag. Walking on air with an Elba – the XXL of Filobianco bags for people like me who aspire to be Mary Poppins but haven’t quite figured out how yet. Where do you source the fabric for your creations? I buy fabric from lots of different places: brick and mortar shops, on-line shops, markets… And whenever I travel I try to visit a specialised shop, you always find some wonderful surprises! Via social media I’ve discovered lots of designers from England, the United States and Japan, I think their fabrics are my favourites and, of course, the most expensive! But they’re what make my creations special. Wandering through the Realejo with my Siena – a versatile cross-body/shoulder bag that you can carry with the top open like a tote or firmly clipped down. What is the most difficult thing when making a bag? The most complicated thing is making the design of the bag work! Sometimes it’s a feat of engineering [Laughs] because you think that whatever you’ve got in your head can be made exactly the same, but then you realise that the kind of fabric you’ve chosen makes the bag bend more or less than the norm, or that the straps that you’d thought of putting in a certain place actually don’t work there! Sometimes it can be quite frustrating because you can’t find the solution and you have to keep trying until you do. But it’s beautiful too, because that’s how you learn and you save yourself time later on. Get your hands on your very own Filobianco!